A lovely review Jacqui. This is perhaps the Beryl I want to re-read the most. Thank you, Annabel, for hosting the BB Reading Week as it was just the catalyst I needed to pick this one up. I think I’ve discovered another great writer to explore in more detail. It feels like a novel that would yield even more on a second reading once you’re aware of the structure and overall nature of the story. I’m a big Bainbridge fan but I haven’t read this one or Sweet Willima, which sounds very enticing. My favourite is probably The Bottle Factory Outing, maybe because it’s the one I read first and I was joyfully gobsmacked at her murderous cheek. She takes no prisoners. I agree with the comparison with Penelope Fitzgerald, and she also reminds me of a psychologically tougher and less narcissistic (and of course funnier) Jean Rhys. Oh, I’m delighted to hear you are a Bainbridge fan! I thought this was excellent, full of dry wit and sharp insights. It’s very cleverly constructed too – I’m pretty sure you would love it. The Bottle Factory may well be my next BB as the more I hear about it the more tempting it sounds. Glad you agree about the comparison with Fitzgerald. I think I undervalued Offshore at the time of reading as it’s a novel that seems to have grown in my mind as the months have gone by. Certain characters and scenes keep coming back to me, so I think I’ll read it again at some point. I haven’t read any of Bainbridge’s books – perhaps this one would be a good start. Although I don’t live in Liverpool I know it quite well and visit the Playhouse often. Thank you for a good review, Jacqui. You’re very welcome, Julie. I seem to recall Max saying that this would make a near-perfect introduction to Bainbridge, so that’s one of the reasons I started here. It certainly worked for me! 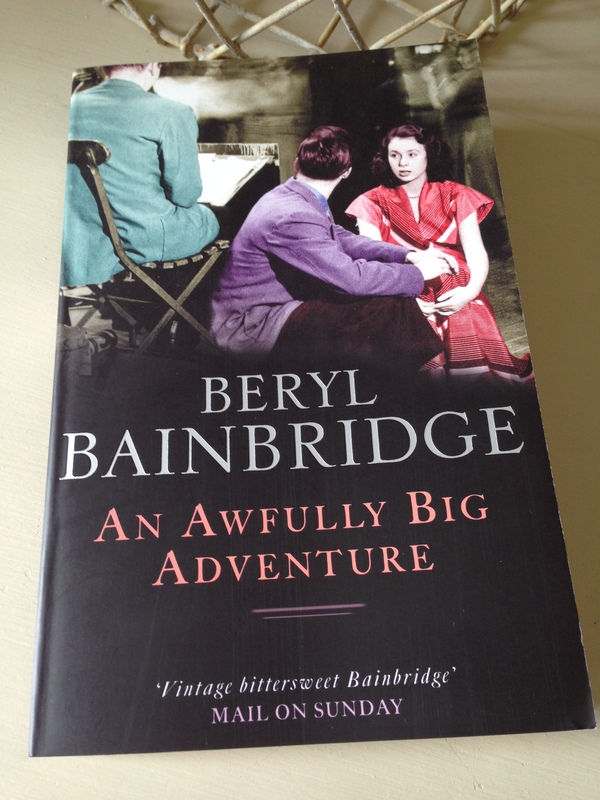 Great to see you have started on your Bainbridge adventure, and hope you share further reviews of her work. Although she rates as one of my favourite writers I have yet to read this, although I do have a copy waiting for me. Thanks for the heads up on the Bainbridge Reading Week as well. It may propel me to write something about “A Weekend With Claude” which I read earlier this year. Ha – well, I’m very keen to read more of her, so watch this space! (As an aside, why have I left it so late to read these writers? It’s a complete mystery to me.) Do you have a favourite or any recommendations for where to go next with Bainbridge? I’m thinking about The Bottle Factory Outing but would love to hear your thoughts. And I hope you do find some time to write about A Weekend With Claude – the title alone has piqued my interest. Hi Seamus – I just read A Weekend with Claude too (my review coming tomorrow) – would love to hear what you thought of it. I have started trying to put together a post on A Weekend with Claude. Not my favourite Bainbridge but I still enjoyed it. As for recommendations, The Bottle Factory Outing is great and was my introduction to BB. I LOVE Master Georgie and Harriet Said and would find to hard to choose between them. Young Adolf is also great. I reviewed all of them. Great – thanks, Seamus. Bottle Factory is sounding increasingly like a must-read; everyone seems to love it. I quite fancy Harriet Said, too. Good to know you’ve reviewed them (I’ve made a note to explore your Beryl archive over the next few weeks). Looking forward to hearing more about Claude as well. You seem to find books that are really strong character studies Jacqui. I share your interest in them. This sounds like a good one. Well written stories that include an ensemble characters are also appealing. Plenty of interesting characters here, Brian. Stella is quite an intriguing girl, a beguiling mix of the knowing, the forthright and the somewhat naive. I loved the banter between the theatre players in this one. Great review, Jacqui. I really enjoyed this very special novel. I loved the humour and Stella’s a lovely character. If I had the time, I’d read The Bottle Factory Outing. But, a week, it’s too short to participate to any event. Thanks, Emma. I loved Stella’s character, too, and the way she just came out with things. I enjoyed reading your billet this morning – it’s always interesting to compare perspectives with you, especially if it’s a book we’ve both read. Pity you didn’t know about Annabel’s event in advance as it would have been a good opportunity to read Bottle Factory. As you say though, it’s virtually impossible to do anything in less than a week, especially if you have other reviews waiting to be written. My other favourites are The Bottle Factory Outing, Sweet William and Injury Time of her non-historical ones. I’ve only read The Birthday Boys and Every Man For Himself of the historical ones and also loved both. Any of these would be a great next Beryl. This sounds great, the theatre type setting really appeals. Bainbridge is so good at creating the atmosphere of the world she is writing about. Isn’t she just? I was really impressed with this. There’s so much packed into such a slim little book. I think you’d enjoy it a great deal, Ali. Delighted you enjoyed it, and thanks for the pingback. It’s tricky isn’t it to do it credit without giving too much away? (Though you manage). I actually preferred this to Bottle Factory, not so much at the time of reading (perhaps slightly then) but it’s held up better in memory. That said, Bottle Factory is very good too. Darker perhaps. Cheers, and thanks for writing about it in the first place – I’m losing count of the number of gems I’ve discovered as a result of your reviews, but it’s quite a few. Yes, it is tricky one to capture without revealing too much, but I have dropped a couple of fairly heavy hints (hopefully teasers as opposed to out-and-out spoilers!). I loved the structure, the way everything comes full circle by the end. I’ve been wondering if she wrote the beginning and ending first before everything else was sketched out. It wouldn’t surprise me if that was the case. Interesting to hear how well this has settled in your mind over the past year. That’s really good to know as I suspect I might revisit it at some point. It made me think of Penelope Fitzgerald’s Offshore too, a book I think I undervalued as the time of reading as my impressions of it have grown as the months have slipped by. Bottle Factory does sound good, though, and it’s definitely on the list for the future. The historicals probably aren’t for me either – I still have nightmares about wrestling with Wolf Hall for book group (both the physical book and the audio version). And yes, I’m with you in your desire to get back to Pym and Taylor (as well as more Beryl). I quite fancy trying one of Pym’s post-wilderness novels as I’ve heard they’re somewhat darker than the early ones – Quartet in Autumn, perhaps. I’m ashamed to say that I haven’t read any books by Bainbridge, Fitzgerald or Pym but I have noticed a copy of Quartet in Autumn at my local library, which looks enticing; I only put it back on the shelf because I was determined not to get sidetracked from reading some I had planned. I should aim to read something by all three authors. Sounds like a good plan, Jonathan. I can wholeheartedly recommend all three of these writers. That said, I’m quite late to them myself – in fact, I sometimes wonder why I left it so long to try them. For Penelope Fitzgerald, it might be worth trying either The Bookshop or Offshore, and for Bainbridge (as Annabel and others have suggested), either this one or The Bottle Factory Outing would make a good entry point. With Pym, there seems to be a bit of a difference between her early, funny novels and her later, somewhat darker works. I loved Excellent Women (an early one), but I’m keen to read Quartet in Autumn as well. I knew a girl in high school who took a bath once per week, and we all thought she was a lunatic. How times change! Don’t they just! My parents grew up in the 1930s and ’40s, so I suspect their home lives were quite similar to Stella’s. Outside toilets and shared family items were the norm! I was thinking as I read your review this book could be the one that changes my mind on Bainbridge. I’ve read two by her and wasn’t wowed. But then I saw your comment that it reminded you of Offshore which is a book I disliked. So now I’m less sure…. To be fair, this is a more humourous novel than the Fitzgerald – there’s a lot of dry wit in the writing here, more so than in Offshore. Plus, Stella is a wonderful creation, and rather easier to love than Fitzgerald’s Nenna. The comparison with Offshore has more to do with the community aspect of the setting and the characters in the theatre troupe. There is something rather fragile about these people, a sort of feeling that reminded me of the barge dwellers in the Fitzgerald. It’s a great book, one of Bainbridge’s finest by all accounts! Great. I’ll be interested to hear how you get on with Everyman. I’m glad you commented on the comparison with the Fitzgerald. I don’t think I was terribly clear in my review, so it was a good point to raise. Alongside the community-based settings, both of these books combine elements of humour and tragedy, but there are some clear differences between the two. Great review Jacqui – it sounds like all the things I loved about The Bottle Factory Outing are in this as well. I’d love to read it!